Early on the morning of Jan. 17, 1991, began a series of events that have had a considerable impact on Chinese military modernization and the military balance across the Taiwan Strait. A U.S.-led coalition, acting under the mandate of the UN Security Council, fired the first shots in what would become a month-long air campaign followed by short ground operation that resulted in the liberation of Kuwait from Iraqi occupation. 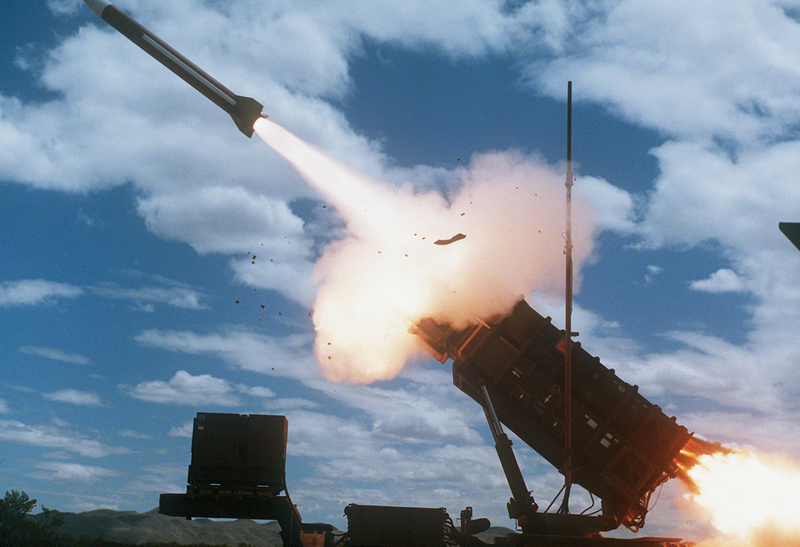 An MIM-104 Patriot Missile is fired by members of Btry. B, 8th Bn., 43rd Air Defense Artillery. Image Credit: CC by Morning Calm Weekly/US Army/Flickr. Easy victory for the technologically superior forces deployed by the allied military along border between Saudi Arabia and Iraq and occupied Kuwait was not a foregone conclusion. Back in 1991, Iraq fielded one of the largest militaries in the world and its forces were battle-hardened from eight years of brutal war with Iran. Nevertheless, coalition forces lost less than 300 soldiers, many of them due to friendly fire and accidents, whereas Iraqi losses exceeded 30,000 dead. The Gulf War, as the liberation of Kuwait came to be known, was nearly perfect from a military point of view: it was a quick victory with minimal losses. From Beijing’s perspective, the Gulf War made it clear that the People’s Liberation Army (PLA), a force not unlike the Iraqi military — minus experience — was greatly inferior to the U.S. This is not to say the Chinese leadership acted solely on the external shock caused by the Gulf War. Since the late 1970s, China’s political and military leadership had been adjusting their doctrine of people’s war to that of people’s war under modern conditions, and the need to transform the PLA was experienced first-hand during the bloody border conflict with Vietnam in 1979. However, in the 1980s, PLA modernization efforts lacked needed resources. After the Gulf War, modernization of the PLA was given endorsement by the Chinese Communist Party (CCP) leadership, and defense spending has grown steadily ever since. 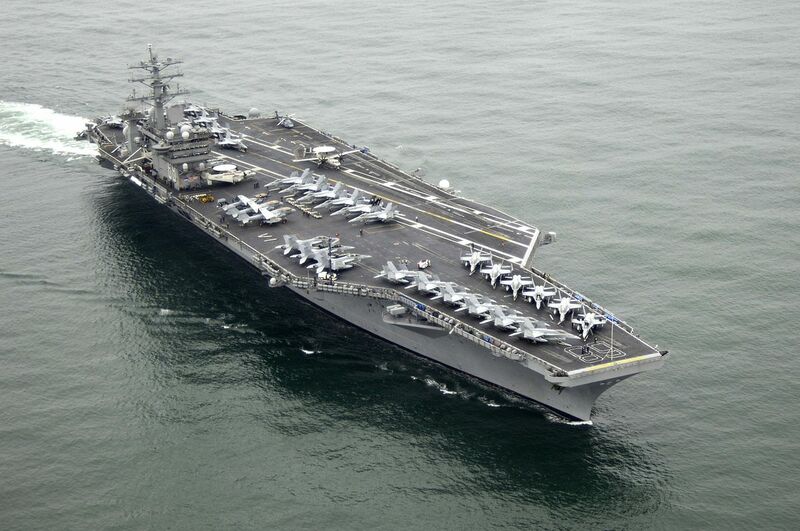 Further stimulus came with the Taiwan Strait missile crisis in 1995-96, during which the U.S. dispatched two aircraft carrier battle groups near Taiwan in response to PLA missile tests, as well as NATO’s air campaign over Kosovo in 1999, which seemed all but to confirm the decisive role of air power in modern conflict. Whereas after the Gulf War Beijing realized it lagged behind the U.S., the 1995-96 Taiwan Strait crisis further exposed inadequacies — especially in the areas of electronic warfare, intelligence, surveillance, and reconnaissance. Since the 1990s, China has put considerable effort in removing this obstacle and modernizing its forces while absorbing technological innovations. In 2015, the PLA resembles its 1990 image no more, as the military parade in Beijing earlier this month made perfectly clear. It may therefore seem that the rapid modernization of the PLA has not been matched by similar developments on Taiwan’s side. The situation did not look too bleak by the late 1990s after Taiwan acquired 150 F-16A/B multi-role fighter jets and Patriot air defense systems, to name some of the platforms acquired by Taipei that had played a prominent role during the Gulf War. Moreover, in terms of defense spending, China was not outspending Taiwan by a large margin. However, the 1990s was a golden era in terms of foreign military sales, and one that never came back. Perhaps the most symptomatic element of Taiwan’s struggle to acquire advanced weapons is efforts by Taiwan’s Air Force (ROCAF) to procure new fighter aircraft. Taiwan has been unable to obtain any new fighter jets since the early 1990s, despite a longstanding interest in purchasing F-16C/Ds from the U.S. Instead, the ROCAF had to resort to upgrades of its existing fleet of F-16A/Bs and IDFs. Upgraded F-16s will provide Taiwan with the very best that the latest variants of F-16 can offer, but in itself this does not resolve the problem replacing other, soon to be retired, airplanes. 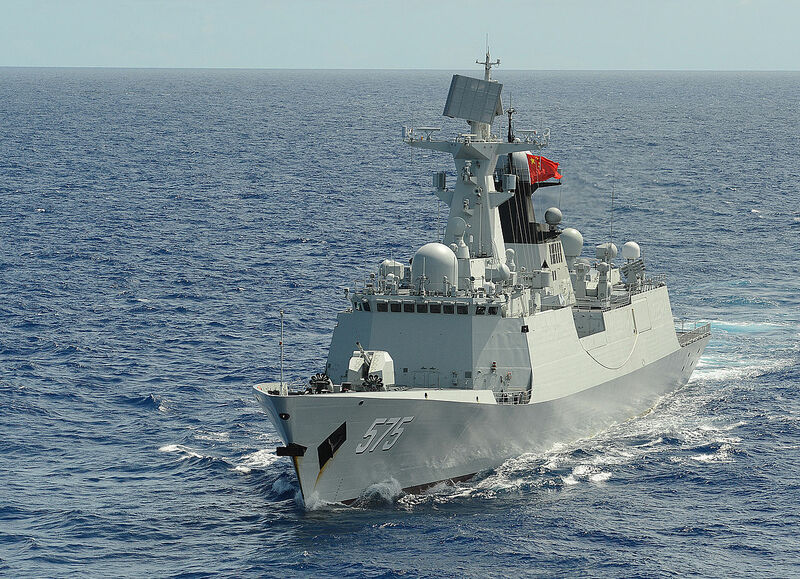 PLA Navy frigate Yueyang (FF 575). Image Credit: Wikimedia Commons. And the problems are not just in the air. Taiwan’s Navy (ROCN) also faces increasing pressure at sea surrounding Taiwan, partly due to PLA Navy modernization, and partly due to increasing missile deployments in areas adjacent to Taiwan’s theater of operations. This is underscored by a variety of Chinese cruise missiles, which impose serious limitations on ROCN operations, including its declared primary mission: the protection of Taiwan’s sea lines. Meanwhile, the PLA has introduced new fighter jets, diesel submarines, and a wide range of surface vessels in large quantities, as well as a growing arsenal of ballistic and cruise missiles with greater accuracy and extended range. All together, this forms a layered system aimed at keeping U.S. Navy reinforcements away from the First Island Chain and puts at risk forward-deployed forces already present there. To make matters more complex for the Taiwanese military, the post-martial law era has not been just about evolving external threats and new technological challenges; it is also a story of adjustment of the armed forces to new democratic conditions. The National Defense Law (NDL) and the Organization Law of the Ministry of National Defense adopted in 2000 and in force since 2002 introduced the principle of civilian supremacy and greater role of civilians in the defense planning process in general. That the process of the military’s transition to democracy has been mostly smooth is an underappreciated element in assessing the changing military balance across the Taiwan Strait. In the early stages of Taiwan’s transition to democracy, doubts were expressed at various levels as to whether the ROC military would remain loyal to the state under the new democratic conditions. Most prominently, in 1992, former Chief of General Staff and then Premier Hau Pei-tsun (郝柏村) stated that the military would oppose (p. 66) Taiwanese independence or changes to the name Republic of China (ROC), even if that were approved through a referendum. Given that most of the generals in the military had been appointed by Hau, his statement carried some weight. Even after acquiring the military capability to defend its homeland, this is not enough to ensure Taiwan’s national security. Taiwan must be able to provide assistance to its regional democratic friends and allies in times of war in the Taiwan Strait, or other potential armed conflict in the region. To defend the shared values among regional democracies, Taiwan’s defense strategy should be based on natural linkage between homeland defense and regional security, and make Taiwan’s military force and indispensable part that can contribute to the security of regional democratic allies. Lastly, related to those developments is an attempt to implement defense reform that would transform the ROC armed forces into an effective modern force, i.e. to absorb the latest technological innovations and develop appropriate doctrines and operational concepts. Considerable personnel downsizing has been part of this effort. Taiwan’s armed forces underwent three waves of cuts — from 450,000 soldiers in the mid-1990s to 275,000 in 2000s, and further reduction to 215,000 in 2014. A fourth downsizing, to below 200,000 soldiers, was halted by the legislature earlier this year. Some observers have taken the extensive downsizing as evidence of a weakening defense posture. However, that is an overly simplistic, if not misleading, reading of the situation. After all, the recently announced downsizing of China’s military by 300,000 men and women is hardly a benign gesture, even if Beijing’s would like to have us believe that this is a sign of peaceful intentions. Rather, downsizing has been in both cases aimed at making military forces more effective. What is the outlook for Taiwan in 2015? The problems are well known: lack of financial resources, insufficient number of volunteers, questionable discipline, and seemingly rampant Chinese intelligence infiltration. But the results of this complex transition are not entirely disheartening. In terms of eyes and ears, Taiwan has an extraordinary early warning (and intelligence collection) capability in the form of the new PAVE PAWS radar and it has developed a network of sensors making Taiwan’s maritime domain awareness one of the best in the region. Taiwan’s domestic defense sector provides some of the key capabilities needed for mounting a credible conventional deterrent, and considerable effort has been put into moving some of the most critical infrastructure underground, thus decreasing the PLA’s ability to deliver a devastating first strike. It is perfectly natural that Taiwan’s progress is being judged against that made by the PLA. However, it is also not an entirely fair position to take. Taiwan’s military has been rather busy organization during last two decades, and while many problems plague its armed forces, it also deserves credit for embracing civilian control while striving to absorb all the technological innovations that came along and re-organize itself after several waves of downsizing. The PLA has made some of those changes as well, but it certainly has not had to overcome the hurdles of democratization. This piece was originally published on Thinking Taiwan on 25 September 2015. 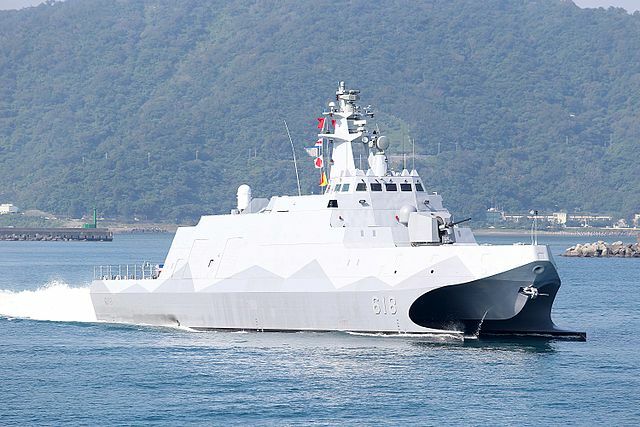 Taiwan’s navy Tuo Jiang class missile corvette. Image Credit: CC BY-SA 4.0 Larry41028/Wikimedia Commons. Sooner or later the Taiwan problem will be settled one or another.Independence is a no go and will bring about a PLA attack.The fact is the Tawainese better note its fate will be decided by Washington and Beijing. The US may have overwhelming dominance over China the fact i s will the Americans start ww3 for it to be independent?If the answer is in the negative,Taiwan better know it has few hard choices. against the US will be the time to settle the Taiwan issue. The US one China policy is a charade. For the time being the Chinese cant force the issue . Its apretext for the bigger game of carving up China into seven states .Lee Teng Hui once said China was too big and needs to be broken up to prevent it being a threat to the US hegemony. Get real.China now is able to defend itself from US nuclear blackmail and will increase their nw . They have to make 200% not 100% sure they will be able to inflict intolerable damage if the US plan to destroy China. Taiwan better know time is running out .The trick is to find a face saving way for the US to detach itself from the Taiwan problem.Until that happens ,China needs to make sure its military can add more potency to its nw.